“Yes we did it!”, a statement that best captures the jubilant mood on the last day of the Founding Congress of the International Domestic Workers Federation (IDWF) in 2013. 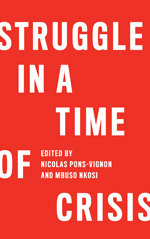 It is also the title of a new book launched at that Congress, which tells the story of how domestic workers organised to win the Domestic Workers Convention, C189, at the International Labour Conference (ILC) of the ILO on 16 June 2011. Just over two years later, domestic workers have done it again. Another milestone has been achieved through the formation of a fully constituted, democratic federation of 48 membership-based domestic workers’ organisations representing around 300 000 domestic workers globally. This will ensure that the Convention is not forgotten, and that the struggle for “decent work for domestic workers’ continues in a coordinated and sustained manner. The launching of the IDWF has wider implications because it marks an important moment in the history of the Labour Movement. For the first time a global union organisation has been formed by women from the poorest sections of society, with an all-women elected leadership. The transformation from a network to a global federation was decided upon by representatives of 48 domestic workers’ organisations, from 42 countries. The Founding Congress was held in Montevideo, Uruguay from 26-28 October 2013. Uruguay was chosen because it was the first country to ratify the ILO Domestic Workers Convention, and the first country in Latin America to have a formal collective agreement negotiated between a domestic workers’ union, employers and government. In addition, Latin American domestic workers have the longest tradition in organising at local, national and regional level. Immediately after the adoption of C 189 at the ILO, the then-International Domestic Workers Network (IDWN) concentrated on two goals: to fight for and achieve ratification (and implementation) of C 189, and to build an international domestic workers’ organisation based on democratic principles. The organisation would consist only of domestic workers’ unions or associations, that is, of membership based organisations with a set of rules and leaders elected by, and accountable to members. The IDWN has worked very closely with Non-Governmental Organisations (NGOs) from the very beginning, but the first Steering Committee of IDWN made it clear that domestic workers wanted to speak for themselves. Therefore NGOs were welcome as support organisations but without decision-making powers. During the two -year period, leading up to the Congress, and beginning during the course of the 2011 ILC negotiations, the Steering Committee of the Network worked hard on building their new “house”. It developed the principles on which the proposed new federation would operate under and it facilitated discussions among domestic workers’ organisations. With the International and Regional Coordinators, it set about recruiting organisations into formal membership. Many discussions were needed to agree on an affiliation form, which would make it possible to judge whether or not an organisation was a membership-based organisation, truly led by domestic workers, or if it was a support organisation or NGO. The process also helped it to understand how the organisations were operating. Several discussions were also needed to agree on a draft constitution that would lay the foundations and fundamental principles and rules for a united domestic workers’ organisation. Many organisations and individuals were involved in supporting the IDWN in the struggle for C189, and for its transformation into a formal federation. However, it was the Global Union Federation IUF, the global action-policy-research network Women in Informal Employment: Globalising and Organising (WIEGO), and the Global Labour Institute (GLI) that gave unconditional and tireless support from the very beginning. “We will support everything that serves the purpose that domestic workers better organise”, said Ron Oswald, General Secretary of IUF in 2009, meaning that the IUF would accept any decision-making process by IDWN and would not impose any requirements in return for the support. The IUF also gave IDWN a home, by providing administrative and political support by its staff and its decision-making structures, so marking an innovative and flexible structural arrangement. WIEGO supports different groups of informal workers to build and strengthen their organisations. It provides strategic and practical support to membership-based informal worker organisations, and especially to regional and international sector networks. It also tries to facilitate their collaboration with the established trade union movement. The IUF had been a member of WIEGO previously, but now the ties could be strengthened. During the two-year period of the ILO negotiations, the WIEGO European Advisor was seconded to the IUF to act as the international coordinator of IDWN. And around the same time, the IUF Equality Officer joined the WIEGO Board. All the determination and hard work paid off and on the 28th October 2013, the IDWF Constitution was adopted unanimously, and the Executive Committee and Officer Bearers elected. The IDWF was born. Getting the support of the established trade union movement was not always easy. For example, when IDWN lobbied trade union national centres to include representatives of domestic workers in their national delegations to the negotiations at the ILC, so that they could sit on equal terms at the negotiating table; the responses were not all positive. However, the ILO process and its successful outcome provided lessons for everyone. The major lesson being that it was the involvement and direct participation of domestic workers themselves that led to the huge success at the ILO and beyond. However, this is not to downplay the role of the extant trade union movement: the bureau of workers’ activities in the ILO (ACTRAV) played a crucial role in preparing the ground for the ILC discussion and was of an enormous support throughout the whole process, together with International Trade Union Confederation (ITUC). And since the adoption of C189, they have continued to give strong support in promoting the rights of domestic workers globally. Right after the adoption of C 189, the ITUC began the “12 by 12” Campaign (meaning 12 ratifications in 2012). This was the first time that ITUC invested in a campaign for ratification of an ILO Convention. And they could do so because active domestic workers’ organisations, on the ground were continuing to do the work that they had started for the ILO process. They could therefore build on the alliances and collaborative work of the domestic workers’ organisations with national trade union centres, governments and sometimes also employers, supportive NGOs etc. Obviously the time was ripe for such a development: more and more trade unions around the world have recognised that they are not only faced with a declining membership, but they have also failed to reach out to the majority of workers in many countries – namely the informal workers. Now one occupational group among them was prepared to step onto the international stage for the first time. This group comprised of domestic workers, mainly women, many of them having organised for a long time under very difficult circumstances, working in hidden and invisible private households. There were 80 voting delegates at the founding Congress, from 48 affiliated unions and associations. They were joined by over 100 or so local domestic workers, plus trade unionists from other sectors and countries, representatives of the ITUC and the ILO, as well as many NGOs and researchers. Members of the Uruguayan Government also participated and spoke about their legislation, collective bargaining agreements and social security provisions for domestic workers. Even the President of Uruguay addressed the Congress, saying how proud he was to host it. This was no ordinary international union congress. For many of the domestic workers present, this was the first time that they had attended such an event, – organised by themselves, for themselves. For some, it was the first time they had even travelled to another country. For others it meant sacrificing. One Indian delegate related how the delegates from India had to take 8-10 days leave to participate in the 3-day Congress. Regional preparatory workshops were held a day prior to the Congress. Here the delegates worked through the draft Constitution, and made nominations for their regional representatives on the Executive Committee. Such preparations meant that the election procedures and the Constitution were well understood and “owned” by the delegates, before the main proceedings. Naturally, differences of language, organising traditions and culture meant that there were contested ideas and also different interpretations. However, the good preparation paid off. The Constitution was unanimously adopted, and the election of the Executive Committee and Office Bearers was openly, democratically and smoothly run. You have created a federation of workers who until recently were not even perceived as workers. You have demonstrated that there is no such thing as ‘unorganisable’ workers. Under the impact of new forms of capitalism, the working class has changed and is still changing. It has become fragmented, unsure of its identity. The trade union movement has not kept up with these changes. Its response has been confused and weak. Our task is now to restore the identity of all working people as a class, and to restore the trade union movement as the instrument of emancipation. You are part of this process, you are part of the renewal of the trade union movement. 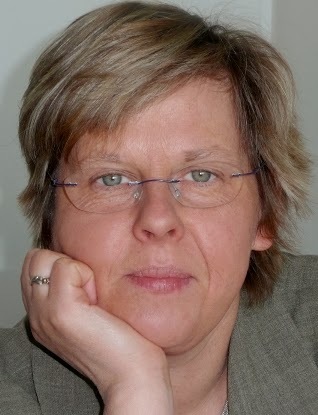 Christine (Chris) Bonner is the Director of the Organization and Representation Programme of WIEGO. She played a supportive role in the development of the IDWF and during the campaign for C189. Resident in South Africa she worked in the Chemical Workers Industrial Union (CWIU), a COSATU affiliate for 16 years, and was the Founding Director of the worker education institute DITSELA. 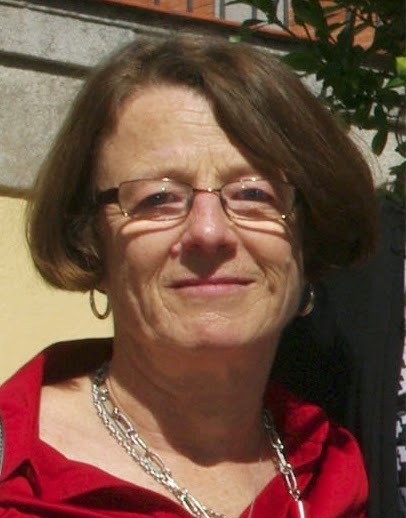 Barbro Budin is the Equality Officer and Project Manager in IUF. In the process of collaborating with WIEGO in developing IDWN/IDWF, she became a WIEGO board member. 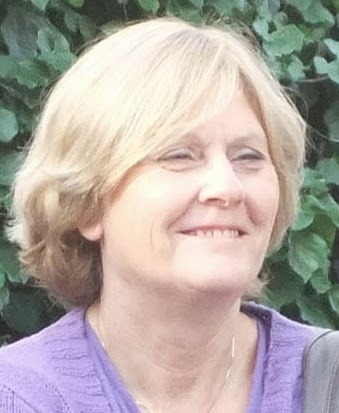 Karin Pape is the WIEGO European Advisor for WIEGO and the IDWF European coordinator. For the time of the negotiations in the ILO on the Convention for domestic workers (2009-2011), she was the international coordinator of IDWN.